New concepts in system design require remote single point signals to be conditioned, converted, logged, communicated to other locations, operate/control field devices and interface with existing or new peripherals. 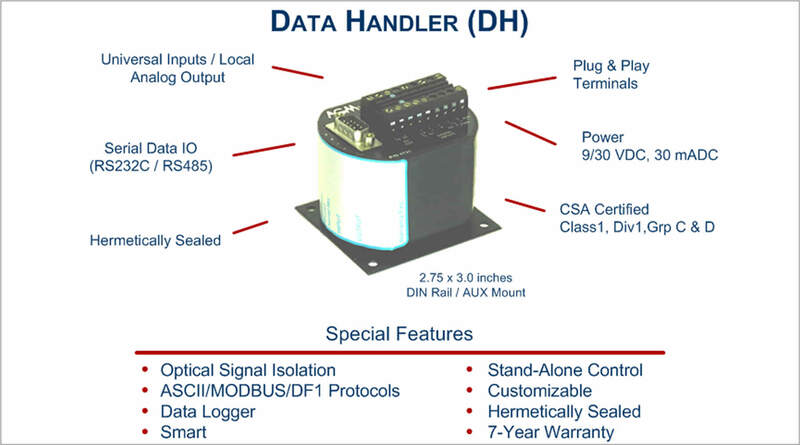 The DATA HANDLER's built-in signal conditioning, low power requirements, hermetic seal, small package size, ease of installation and hardened micro-controller makes it perfect for these types of applications. The AGM DATA HANDLER truly allows data to be accessed anywhere, anytime. Optical I/O isolation: The input signal from a field sensor is optically isolated from the other circuitry of the Data Handler. System startup problems resulting from inadvertent ground loop conditions are precluded. System operational shutdowns due to lightning and utility fault currents are greatly minimized. Minimal Power Requirement: The Data Handler is ideal for those remote locations where it is not practical or cost effective to bring service power to. Batteries or a small solar power system is all that is required for operation. Communications: Interfaces include direct, fixed/spread spectrum radios, leased/dial-up line modems and Ethernet. Eight-channel time division multiplex: The "MUX PUK" auxiliary device allows one Data Handler to monitor 8 analog or 64 digital inputs. Monitoring costs can be reduced to one twentieth of that using other monitoring devices. 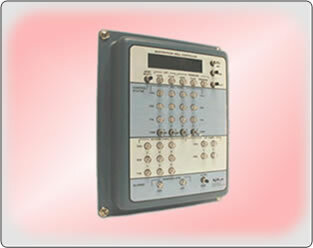 Stand-alone controller: The Data Handler can be programmed to perform any type of controller function including PID features. RTU Function: Flexible Data Handler software lets the Data Handler function as a RTU in all SCADA systems. You can interface with Windows-based PC programs like Genesis, Intellution, Wonderware, Lookout, etc. or AGM's own TakeCharge program. It can be adopted for use with any protocol including Modbus and its variations. Addressable: The Data Handler is addressable for Distributive Control Schemes. You can use 256 different addresses in a single system application. Event or time driven data-logging with programmable smoothing: You have 32K of nonvolatile RAM and a perpetual clock for data logging. Stored data files can be directly downloaded to popular programs like EXCEL, ACCESS, etc. You can not lose stored data with loss of communications in a Monitoring System. Signal Conditioning: Erratic and "noisy" signals from input sensors are easily "smoothed", without eliminating the important perturbations of the variable being measured. Internet, Email, and Pager Interfaces: The Data Handler's communications auto-dialer lets you transmit remote data and alarm conditions using the Internet, AOL, and CompuServe networks. Remote Diagnostics: The Data Handler software files include programs with "zero sum logic" and relay ladder logic schemes to identify wiring errors and equipment malfunctions during "startup" and operating conditions. · Operating Humidity: 5 to 95%. The following table is a compilation of a few of the many applications that the AGM Data Handler (DH) can be applied to. If you have an application that you are uncertain as to whether or not the Data Handler is the correct product to apply, contact AGM's Technical Support Team and they will work with you to insure that the correct product is selected for your design requirements. The Data Handler may be used as a stand-alone monitoring and control device or integrated with other AGM and manufacturers products. The following table is a tool for constructing a model number based on your specific design requirements. Note - Please contact our Domain Engineering staff if you are unsure of which Data Handler to specify for your application. Or email or fax us a block diagram of what you need and we will fill in the model numbers and promptly provide you a Hardware Overview and Proposal. We will also work with you to develop OEM products. 1. 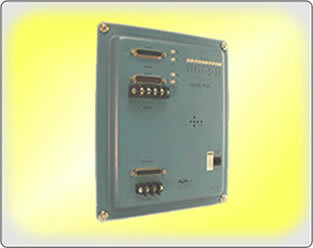 SPM9000-D2I, DC and 2 Contact inputs with 4/20 mADC and 2 contact outs and RS232C communications interface. I need two independent adjustable setpoints and time on/off delays for operating pumps based on a wet well level signal. 2. 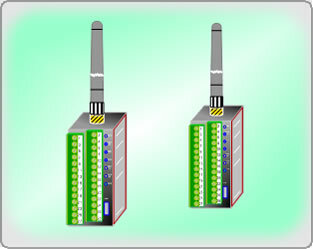 SPM9000-D28 and SPM9000-N8R, 8 Channel analog Data Logger that will be connected to a Radio Modem for remote data acquisition. Also need AGM TakeCharge software to log and display remote data on a portable PC.